Terraced lots are about living at a higher level. Placed along the tree line of our resort, these larger lots embrace the RV resort and offer privacy at the rear. 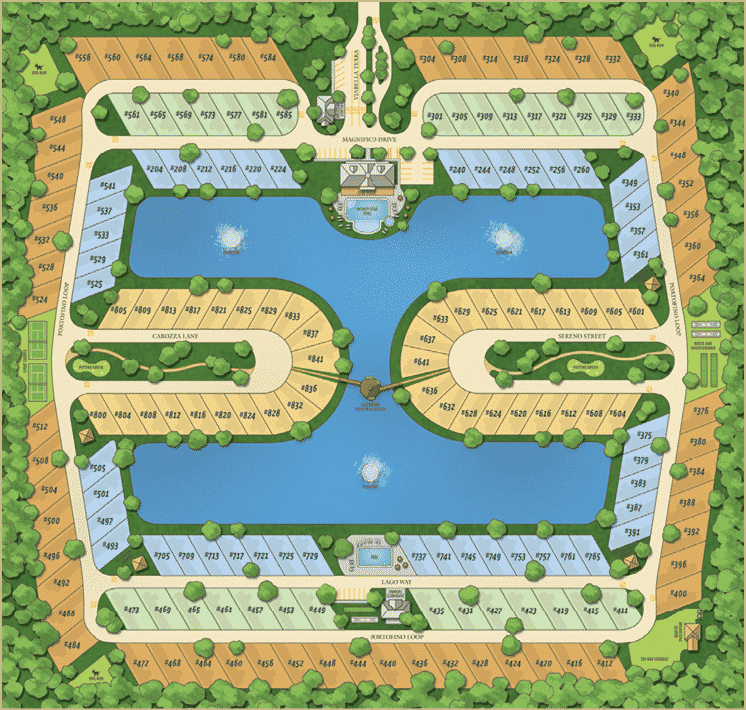 Sitting just above other lots, the Centerpiece Lake is beautifully presented before you. Beautiful sunrises and sunsets are scheduled daily for your viewing pleasure! Class A RV lots at Bella Terra of Gulf Shores include a 60 degree angle lots for ease of RV parking, concrete pads and built in patio, and feature electrical, water, sewer, cable television, and internet access. * DISCLAIMER: Please note that Bella Terra RV Resort is restricted to Class A Motorcoaches only with a minimum length of 32' and must be no older than 15 years at time of arrival.